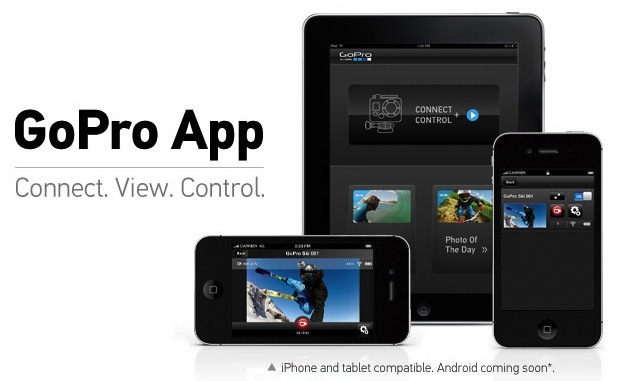 GoPro owners have had a long wait, but the company's iOS remote app (Android "coming soon") is finally available and ready to work for those possessing both an HD Hero2 camera and WiFi BacPac accessory. While the hardware will cost you the app itself is free, and adds capabilities including remote control of all of the camera's settings, monitoring of battery life and storage space, date / time sync with your mobile device, live remote preview so you can see what you're shooting in real time and also access to GoPro's Photo of the Day / Video of the Day channels. Along with the app, GoPro is releasing the Protune firmware update that will let cameras record at a higher 35Mbps bitrate, 24fps and adjust the video for a different cinematic look. GoPro iOS app is finally available, adds live viewfinder and remote controls for action cameras originally appeared on Engadget on Wed, 10 Oct 2012 06:19:00 EDT. Please see our terms for use of feeds.